Sean Paddock was clearly a kid that preferred drumsticks to toys – he started to play the drums at the age of only four! At five, he was already sharing a stage with his musician parents, and his career was predestined from the age of nine, when he began to take “proper” drum lessons and joined the school band. Even while Sean was still at high school, his future career as a pro musician drew ever nearer as he started to play more and more paid gigs at his father’s side. In 1996 he moved to Nashville, the country music Mecca, initially only intending to check out the scene there, but then landing a job in the backing band of country superstar Kenny Chesney, where he still plays today. He has accompanied Chesney throughout his development from smoke-filled clubs with a couple of hundred in the audience to football arenas in front of 60,000 cheering fans. With over 30 Top Ten singles in the Billboard Country Charts and dozens of gold and platinum records, there’s no doubt about Sean’s talent. But he is also much in demand outside the country scene too, with stints with rock greats like Sammy Hagar, John Mellencamp and Steve Miller – to name but a few. When he isn’t on tour, he plays as a session musician in Nashville or records drum tracks for other artists in his own studio. 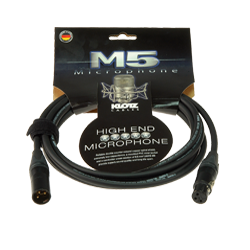 There, as on stage, KLOTZ Cables are the only brand for him.